M.C. 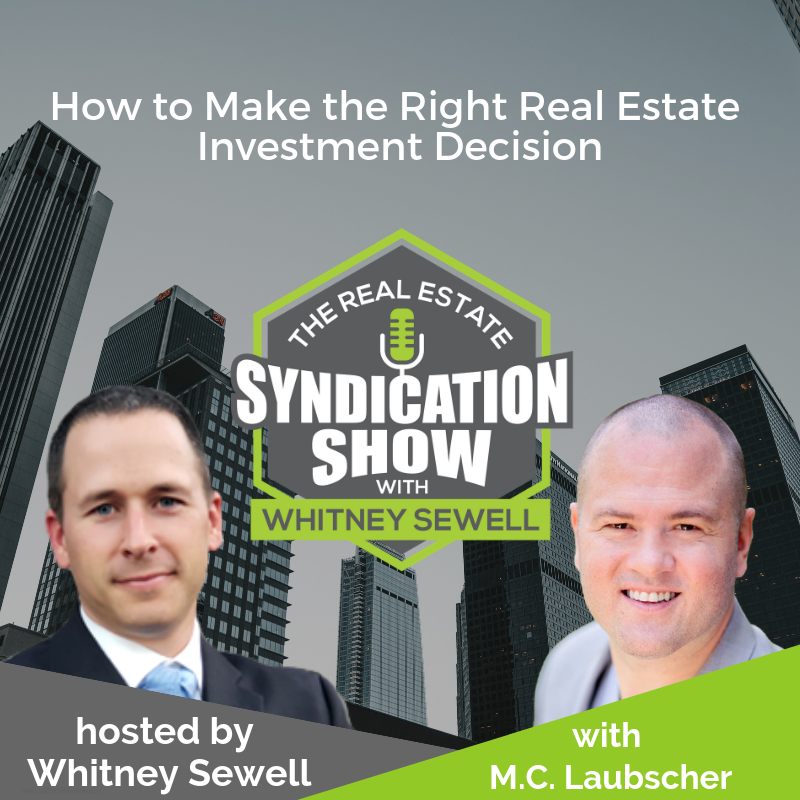 Laubscher, President and Chief Wealth & Investment Strategist, Producer’s Wealth and host, Cash Flow Ninja shares some expert strategies which will help mitigate risk to build a successful and stable real estate investment business. This show starts off with M.C. sharing off he learned the ropes of the real estate business. Can associating with a mentor give greater traction to your career? Next, we discuss some crucial economic and demographic trends that you should consider before making an investment decision. You will learn how to analyze asset cycles to make a well-timed investment. M.C. also shares the most important considerations before you decide to proceed with your investment. Contrary to popular belief, why should IRR not be the main driving factor for your investment decision? For all this and much more, tune in to our latest show! 02:10 – How did M.C. learn the ropes of the real estate business? 03:38 – What is the premise of M.C. 's podcast, "Cash Flow Ninja"? 04:31 – What is the mission of "Producer's Wealth"? 15:52 – Can you find good deals in the multifamily space right now? 21:07 – Should IRR be the primary consideration before making an investment decision? 26:51 – What are some ways via which M.C. is improving his business? 29:45 – What is the number one thing that has contributed to M.C. 's success? 30:30 – How is M.C. give back to society? 31:54 – Schedule a call with Whitney now! 31:57 – Join our Facebook group to connect with like-minded individuals and experts like M.C.